The Texas Book Festival is FREE and open to the public. 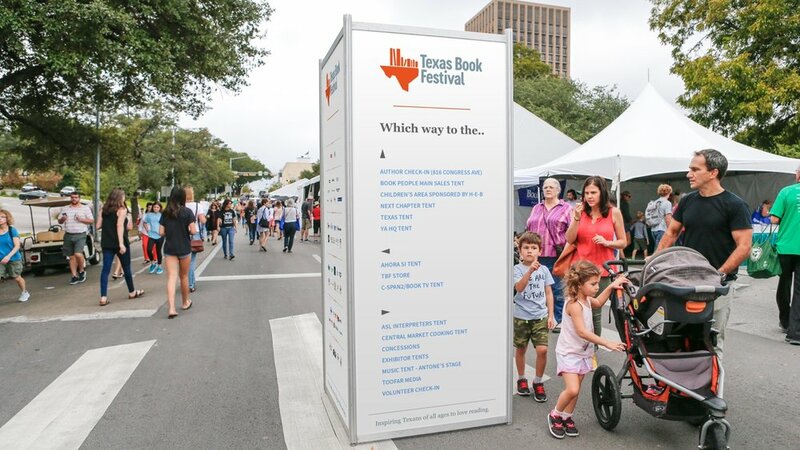 One of the largest and most prestigious literary festivals in the country, the annual Texas Book Festival features 250+ nationally and critically recognized adult and children’s authors, 20+ venues including the State Capitol, 100+ exhibitors, local food trucks, family activities, and countless opportunities to meet authors and fellow book lovers. Look below to learn more about the panels Julissa will be attending. Conversacion en español: Las autoras galardonadas Yuyi Morales y Julissa Arce comparten sus propias historias de inmigración con los jóvenes lectores, describiendo sus propias experiencias al adaptarse a sus nuevos hogares y culturas, mientras celebran los lugares de donde provienen. ** Award-winning authors Yuyi Morales (Dreamers) and Julissa Arce (Someone Like Me) share their own immigration stories with young readers, describing their experiences adapting to new homes and cultures, while celebrating the places they came from. Dreamers of all ages, join us for this inspirational talk! (This session will be held in Spanish). Sometimes, kids have to face adult level problems. We have to grow up fast and find our way through tough situations. Luckily, if you look for help, you can always find it and these authors will show you how they and their characters overcame it all. Join Patti Kim (I’m Ok), Meg Medina (Merci Suarez Changes Gears), and Julissa Arce (Someone Like Me) in a conversation moderated by Nikki Loftin. Conversaccion en Español: Las autoras Fey Berman (Mexamerica), Julissa Arce (Entre las sombras del Sueño Americano) y Reyna Grande (A Dream Called Home/ Un sueño llamado hogar) discuten la fusión de las culturas mexicana y estadounidense y la nueva comunidad que se ha creado en este paisaje cultural que mezcla el tradiciones y rasgos de ambos.